Have you reviewed the security of your router? No matter if your router is provided by your Internet Service Provider or you purchased it, there are a few steps to take to ensure that you are as secure as you could be. Many of these steps are covered in this FBI video. So? How well is yours set up? 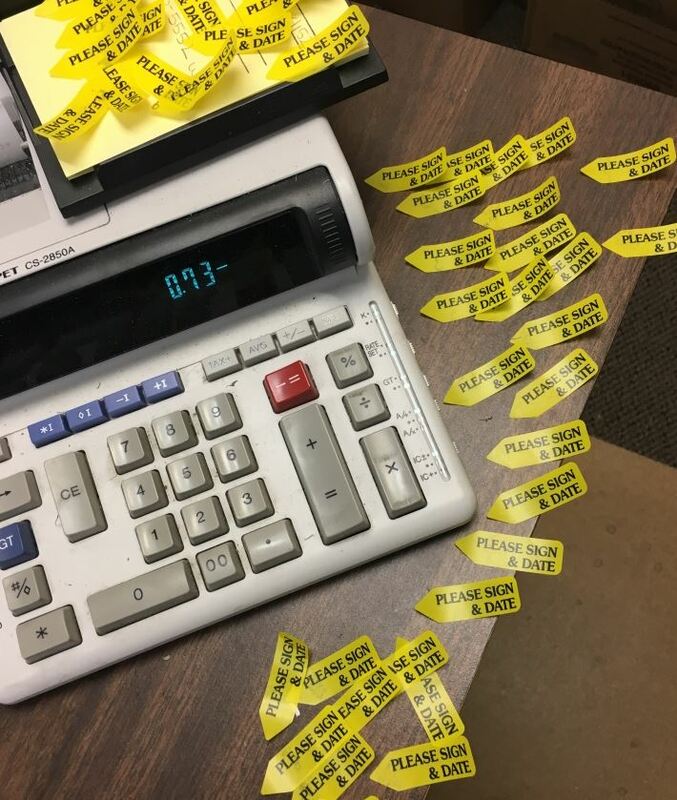 Due to the IRS computer issues, they are giving us one more day to file taxes. Here at the office we’re actually done with the 2017 tax year and are just hitting refresh and waiting for the acceptance notices to come back. Here’s hoping the tech support of IRS will have a better day tomorrow. So the IRS is having a really bad day today. We have received word from our Tax software vendor that the entire efiling is out of commission. They will be accepting our efiling, date stamping them as accepted, but not sending them off to the IRS until they come back online. Bottom line, we can still get your return officially efiled today but look for headlines and news stories about this issue. It’s the final day when the IRS gets your hard earned money from you. Even our copier is bleeding today! 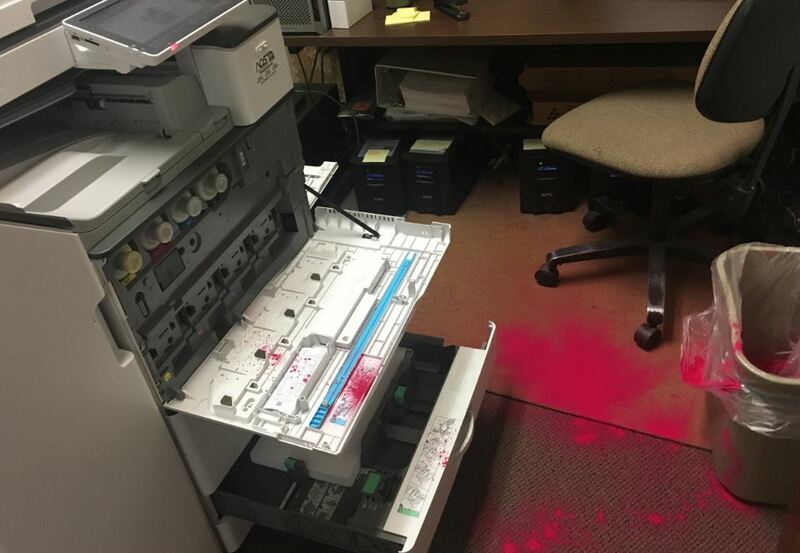 Seriously a little explosion of Magenta toner occurred with one of our copier machines just a bit ago. Fortunately we have backup copiers and multiple ways to still complete and file your tax return. Interestingly enough the IRS is having a bad day today as well. Their online site for payments is offline right now and we haven’t been given an estimate of when it will be back online. Remember you can always mail your payment in the old fashioned way with a check and a stamp. Or you can do an electronic payment from your bank and that will count as well. The Franchise tax board webpay site is still operational if you owe State tax. If you want to use a credit card to pay either the federal or state tax due, you can use the site www.officialpayments.com but remember they charge a convenience charge for using credit cards. For a few more hours a local bank is doing a shredding event to help with identity theft protection. Remember though to NOT shred this year’s information but to keep it for seven years. After seven years you can shred your tax information. As always thank you to all of our clients as the 2017 tax filing season comes to a close! Time to pick up your tax return! If you haven’t yet been in to pick up your tax return never fear, we still have time left for you to pick up your tax return. These days you can do it in person, or as long as we have your email address, we can send you your tax return to be electronically signed. And of course if you need more time, we can extend your return. 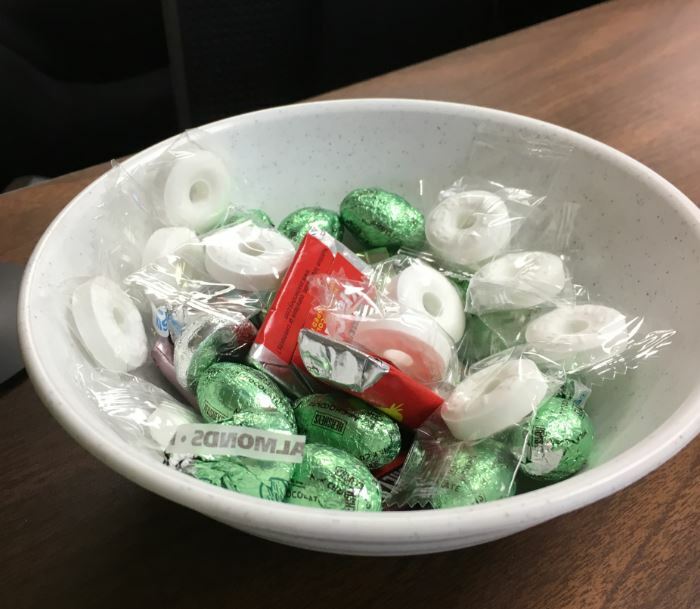 As you pick up your return in person, help yourself to some candy that we always have in a dish out front. We’re still working on figuring out how to email candy though, so if you sign electronically that’s one benefit you’ll be missing out on. Don’t forget, this year tax deadline day is April 17, 2018! 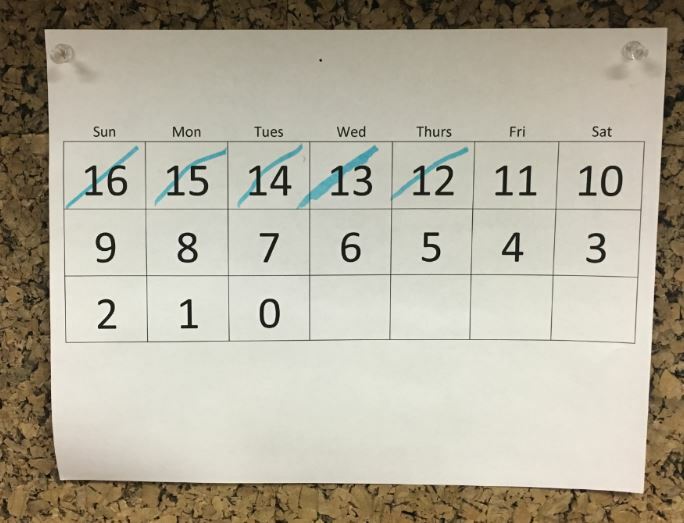 We get two extra days because firstly the 15th lands on the weekend and then the 16th is a holiday in Washington DC where the IRS headquarters is. The Better Business Bureau has put together a list of the top ten scams of 2015 and number one on the list (https://www.bbb.org/top10scams/ ) is the IRS scam where someone pretends to be from the Internal Revenue Service and calls you to inform you that you owe back taxes. The IRS never ever calls you regarding your income tax. They will only send you a letter via the United States Postal Service. They will also never email you. If you ever receive such a call, you can be reassured that this is a scam. Feel free to slam the phone down, harass the person on the call, or do anything you like to the person claiming to be calling from the IRS. The real IRS still uses old fashioned snail mail in their efforts to contact you. It’s the day before Christmas and all through the office, we’re anticipating the end of the year and start of a new Tax Year as much as we are the sounds of the final UPS and FedEx deliveries before Christmas. During this Holiday Season, we’d like to take this opportunity to say, “Thanks for letting us serve as your accountants”. 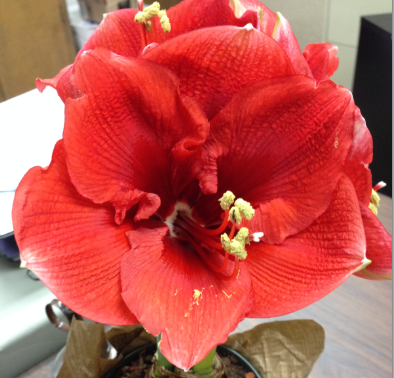 All of us in this office have certainly enjoyed working with you during the past year. In this final week before 2015 it’s time to review your deductions, make charitable contributions and anticipate receiving and collecting up all of those tax forms that will start to arrive in January. Payroll tax rates are also slightly changing along with business mileage reimbursement rates. You can review the changes to payroll taxes by downloading a copy here. In the final days of 2014 you can still make some income decisions such as accelerating income or deductions between the tax years. Some ideas are found here and as always, please call us at 559-252-8585 and we’ll be glad to assist you in any end of the year planning you may want to do. We’re sending to all of our clients a checklist reminder of items to accumulate for your 2014 tax return. You can download a copy here. If you’d prefer a tax organizer listing all of last year’s information and with spaces to list 2014 information, please send us a message in the contact box below requesting an organizer and we’ll be glad to email or mail it to you. The calendar may say we’re in Springtime but our weather report lately hints that Summertime is just around the corner. This year, Fresno and the surrounding areas will be impacted by reductions in water deliveries impacting our agriculture and agribusiness. Too often we take water for granted, but here are some tips and resources that may help you in making smarter water choices this year that will in turn save you money. Water Wise Gardening guidance: A local spring-time favorite, the Water-Wise Give and Take Plant Event, will be held at the Fresno State Horticulture Greenhouse Park at 3150 E. Barstow Ave on May 3, 2014 from 8 a.m. – 12 p.m. with a new kick-off event hosted by Friends of the Madden Library on Friday, May 2 at 6 p.m. Both events are free for the public and designed to educate guests on how to save water with Fresno-friendly landscaping practices. 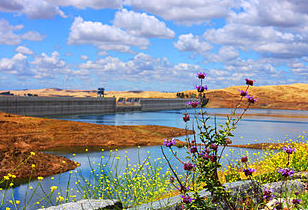 The event on Friday will include a panel discussion with Q & A on Smart Gardens: How to be Water-Wise in Times of Drought. Saturday’s Water-Wise Plant Give and Take Event will draw hundreds of guests, dozens of master gardeners, offer hands-on activities for kids, and provide free educational workshops. More info here. Convert washing machines to grey water systems: You can convert the water output from a washing machine to a grey water system to then water your outdoor plants without a permit. California changed the law in 2009. Expenses to retrofit the washing machine would be deductible for rentals. For personal residences, the costs could be added to the basis of the home. Rebates for water efficient systems. If you have an older toilet or washing machine, the City of Fresno offers up rebates of $50 to replace inefficient systems. Both clothes washers and toilets can get a $50 rebate each. Upgrade and maintain irrigation systems. Now is the time to upgrade your sprinkler system to use timers and to review it for leaks. Retrofit existing systems to use drip irrigation not only helps water resources, it cuts down on your water bill as well. If you have a timer on your system now, ensure that you turn it on manually at least once a month to ensure it’s in good working order. More tips can be found online here. As always we thank you for being our clients and if you need any help, have any questions, or need any tax planning, just call us at 559-252-8585 or email us at tshb@tshb.com.